Know what’s up and what needs to come next: deliver consistent, streamlined, and profitable client service, easily. 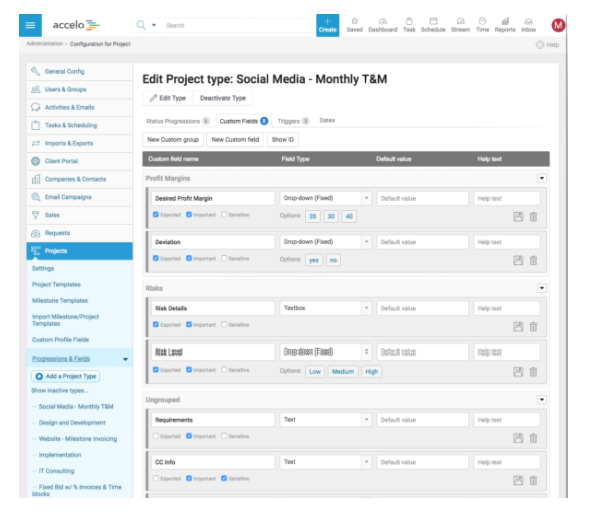 Shape Accelo to match what your business needs so that workflows progress the way you need them to. Track key details, pick from lists of options to make reporting easier and rid yourself of tracking details on spreadsheets by using custom fields and categories. Get an overview of all client services in real time with an Issues Dashboard. 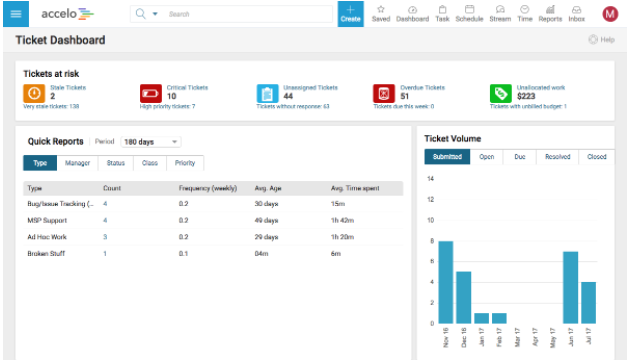 See the issues at risk, pull quick reports, and have a complete overview of performance where managers can easily compare tickets, select a period of time, view resolved issues and more. Increase your productivity by quickly assessing your team workload, easily assigning tasks, organizing your daily workload, and keeping track of progress for any task without a status meeting or sending an email. 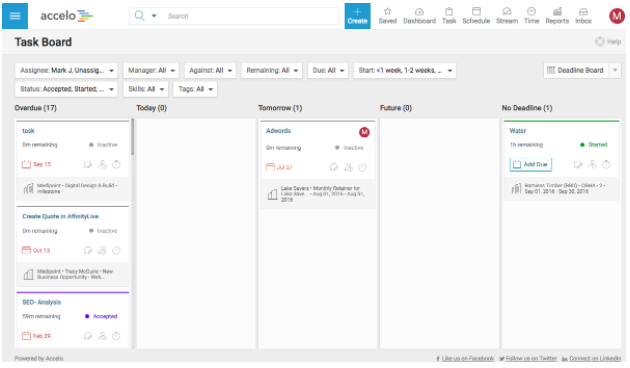 Tasks are automatically shown on a user’s schedule to easily keep track of upcoming work.